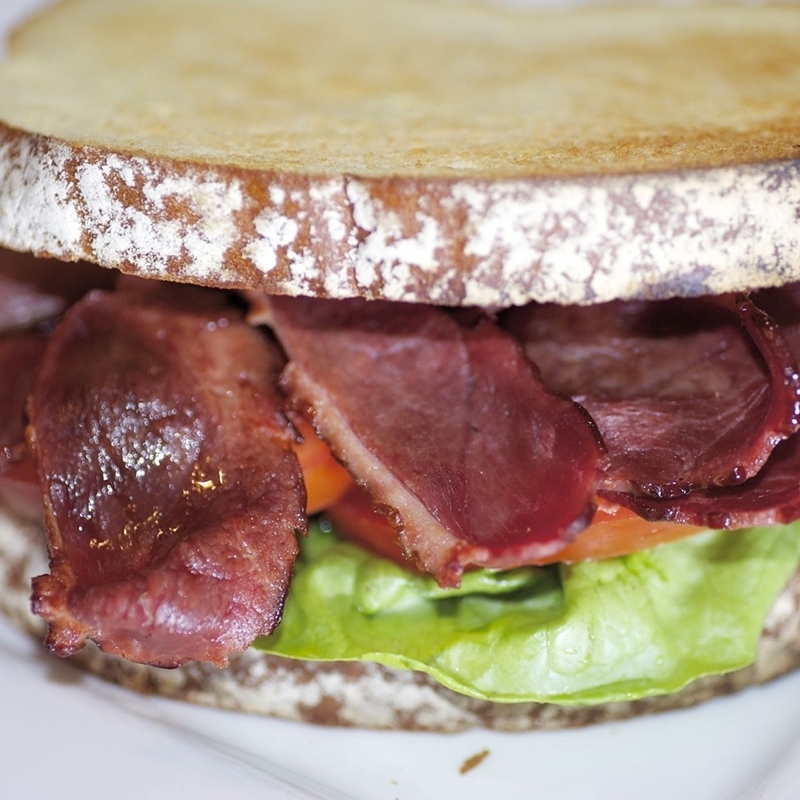 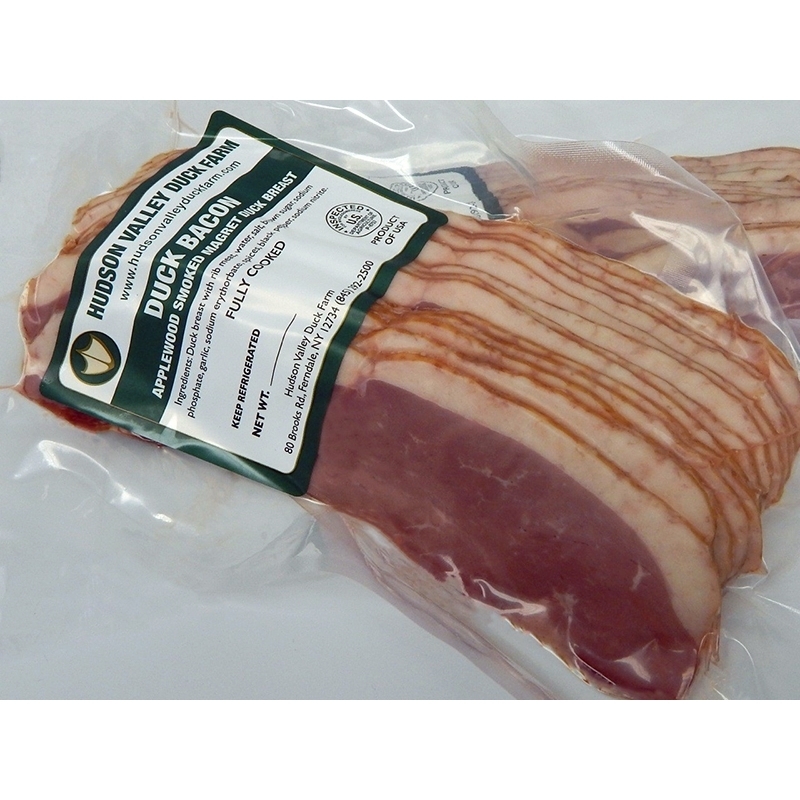 > Gourmet Duck Specialties>Duck Bacon>Applewood Duck Bacon - 8 oz. 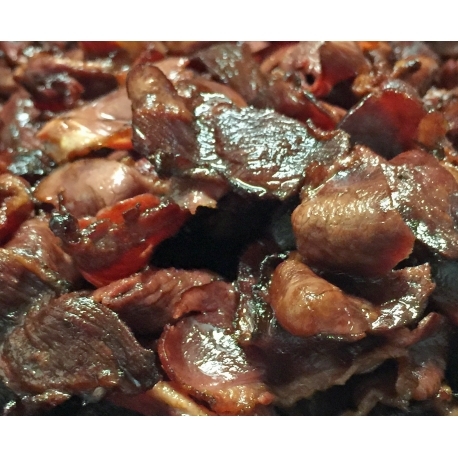 Hudson Valley uses only the Margret (breast) to make their Duck Bacon. After curing in a brine with a blend of propietary spices, the meat is smoked lovingly for hours to achieve the classic bacon flavor. Crisp in pan or oven to use anywhere bacon is appropriate.....so everywhere, really.